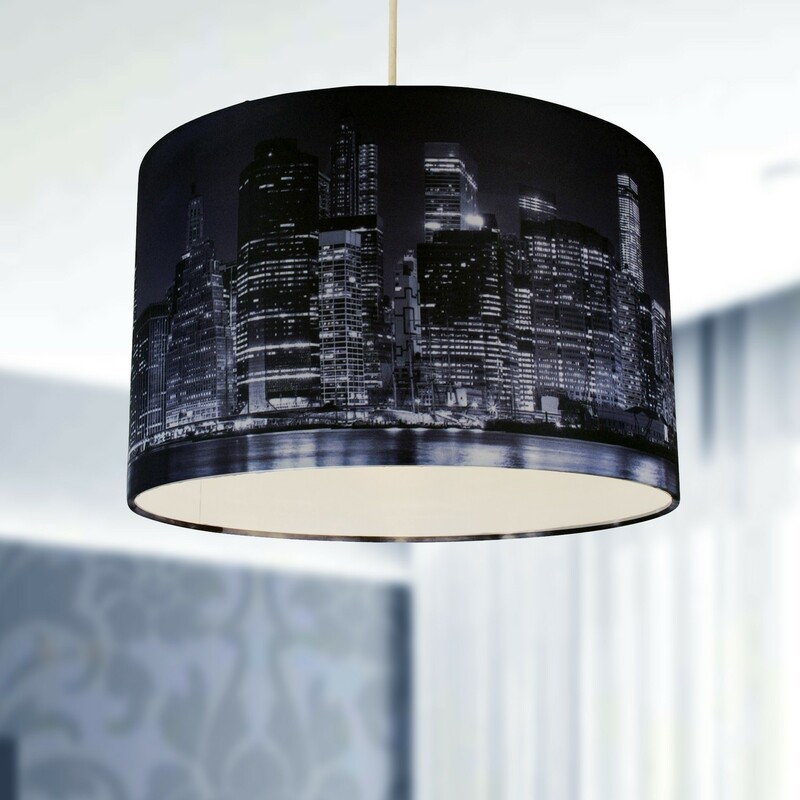 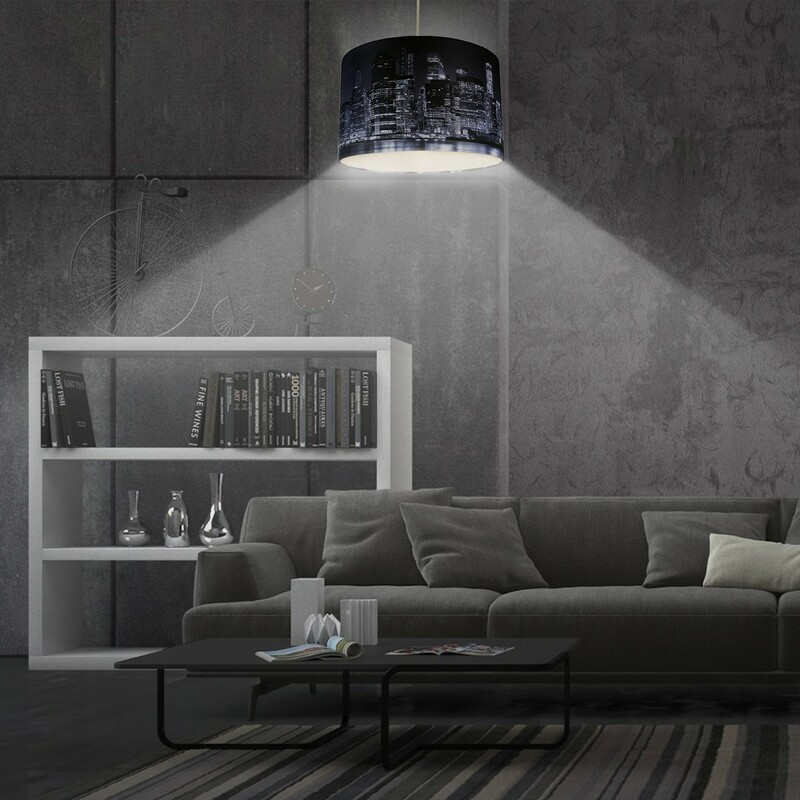 This fun ceiling light will bring an element of excitement to any living area or bedroom with its unique digitally printed shade, featuring the glimmering Manhattan skyline. 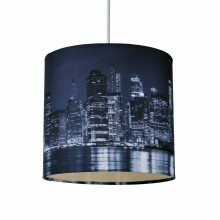 The New York City skyscrapers flawlessly printed on this shade will lend a cosmopolitan feel to any room. 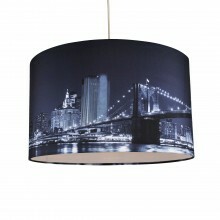 This steel wire and fabric fixture can be used with energy saving lamps, and is also compatible with dimmers. 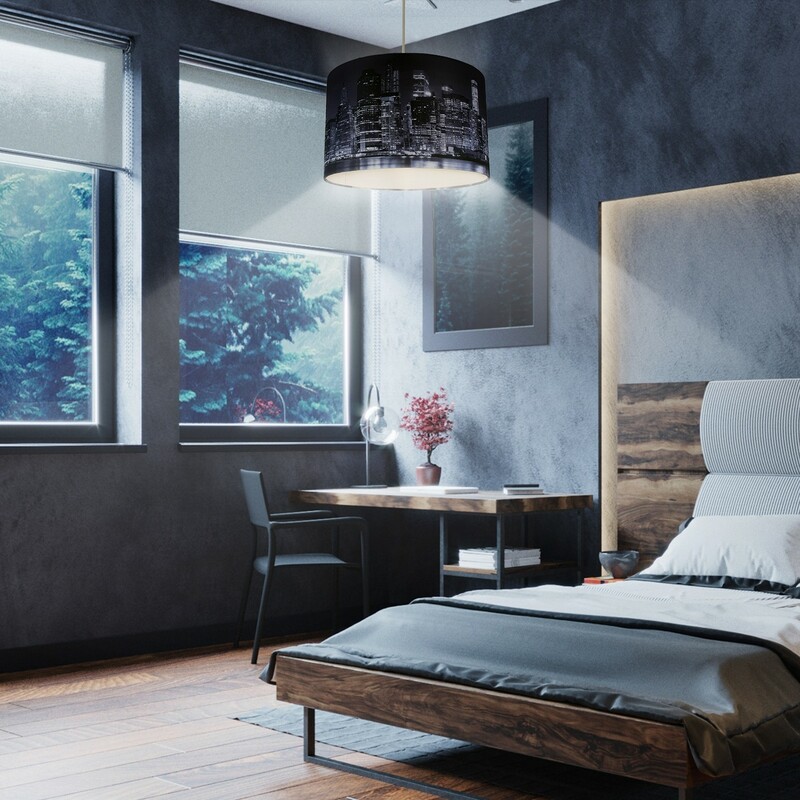 This shade is sure to turn any space into your favourite room in the house!